Tap Tap Revenge – the free iPhone app that quickly became one of the most downloaded games for the handset – has attracted major artists including Weezer, Moby and Daft Punk to its sequel Tap Tap Dance. The game, made by Tapulous, is a new entry in the rhythm gaming canon – and its early success has brought attention from major producers and EMI is the first to sign up – with five of its key artists available for the game. Moby, the Chemical Brothers, Digitalism, Daft Punk and Basement Jaxx will submit tracks for Tap Tap Dance, and talks with other major labels are already under way. "We are close to having a formula that the artists, labels, publishers and Apple are all happy with," said Tapulous CEO Bart Decrem. Tap Tap Dance is available now and costs £2.99. 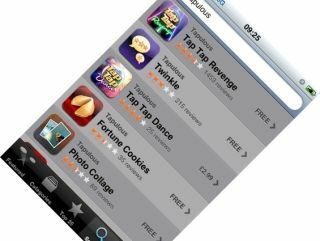 Many of the other games makers for the iPhone will be keen to see how it performs after the original game became hugely popular partly by being released as a free app. A third version of Tap Tap – called Christmas with Weezer - is also available for £2.99 featuring Christmas carols exclusively covered by the band for the app. As an added incentive, two tracks from the latest album can be unlocked if you are good enough to complete tracks on the hard level.